Made his debut with Iraklis during the 1996-97 season. Signed for the 2001-02 season by Panathinaikos Athens. Signed for the 2003-04 season by Iraklis Thessaloniki. Moved to Spain for the 2007-08 season, signed by Real Madrid CF. Moved to Italy, signed for the remainder of the season by Fortitudo Bologna. Moved to Greece for the 2009-10 season, signed by PAOK Thessaloniki. Moved to Russia, signed for the remainder of the season by BC Khimki Moscow region. 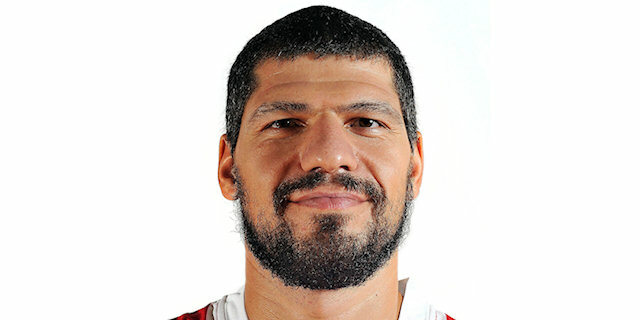 Back to Greece for the 2011-12 season, signed by Olympiacos Piraeus. Named to the 2006-07 All-Euroleague Second Team. Named the 2006-07 Euroleague January MVP. Named the 2006-07 Euroleague Week-8 MVP. Named the 2005-06 ULEB Cup Week-14 and 15 MVP. Played at the 2001 and 2007 European Championship. Won the 2002-03 Greek National Championship with Panathinaikos Athens. Won the 2003 Greek National Cup with Panathinaikos Athens. Played the 2001, 2002, 2003, 2004 and 2010 Greek All Star Game.